The Sanskrit word Meghalaya means “abode of clouds.” It is the name of a northeastern Indian state whose socioeconomic system might seem Utopian to some at first glance. The Khasi people, who make up the largest ethnic group in the state, live in a matrilineal society where wealth is passed on from mother to daughter. In this part of the world, women are the ones who own land and property. Meghalaya is a hill state in northeastern India. 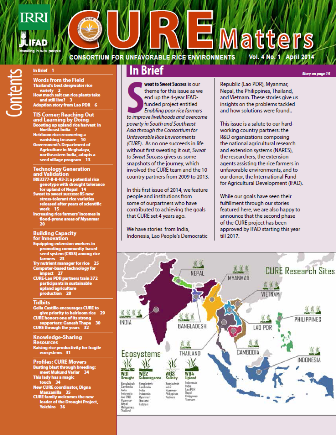 Rice is the main crop and constitutes about 81% of the state’s total food grain production. The crop is grown in about 108,000 ha at altitudes ranging from 180 to 2000 m asl. Considering a 10% seed replacement rate and an annual area expansion in the boro season at 1000 ha, the seed requirement in the state is expected to be about 225 t/yr by 2015. Estimated seed production in the semi-formal and informal seed system together is about 50 t, way below the target. The seed village program in Meghalaya started in 2006 as a collaborative effort of the Indian Council for Agricultural Research (ICAR Research Complex for NEH Region, under IFAD TAG 706) and the Meghalaya Rural Development Society (an IFAD loan project). Between 2011 and 2013, three seed villages were developed and these villages, on an average, produced 2 t of seed of upland rice varieties. Under Technical Innovation Services (TIS), several farmer groups were trained on seed production, grading and storage. However, no regular seed production program for high altitude rice (1,500-1,600 m asl) was set up. In 2013, the research wing of the Department of Agriculture, Government of Meghalaya took up seed production of high-altitude rice following the seed village model. Seventeen farmers from three village clusters in the East Khasi Hills District took part in the seed production program (Table 1). 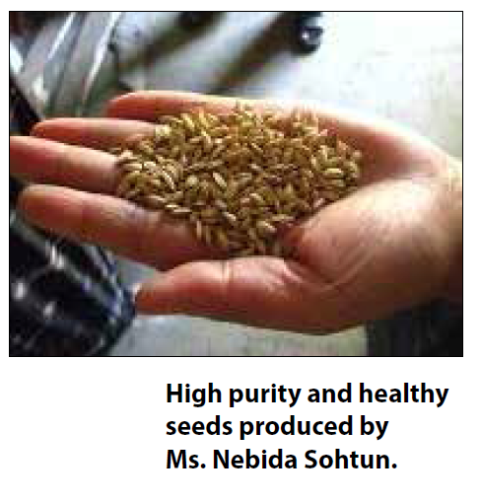 Breeder seeds of two high-altitude rice varieties, North Eastern Hill (NEH) Megha Rice 1 and NEH Megha Rice 2 were supplied by the Institute. The entire program was supervised by two officers of the department with expert technical help from CURE scientists. The farmers were trained on rouging of off-types, proper fertilizer application, and maintenance of optimum plant population. 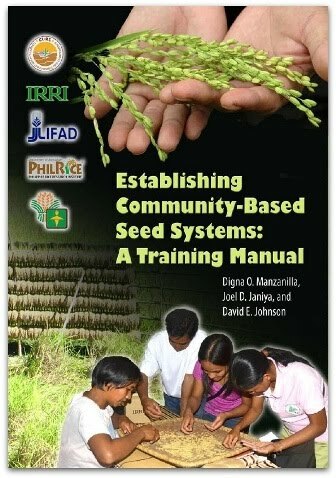 At the harvesting stage, farmers were trained on seed grading, seed drying, and storage using IRRI Super bags. The two officers from the state department and a rice breeder from ICAR jointly assessed the quality and health of the produced seed. A total of 22.5 t of seed was produced in 2013 (Table 1). In all village clusters, farmers mentioned the need to dry and store seed in a rat-proof enclosure. Dr. Arunava Pattanayak is a principal scientist at ICAR Research Complex for NEH Region.